BOMF is the world’s largest microfinance fund with USD 1.4 bn of assets under management and an annual return since inception of USD 4.30%. Zurich/Stockholm, 10 April 2018 – BlueOrchard is pleased to announce that it has been granted permission by Finansinspektionen to market its flagship Fund, the BlueOrchard Microfinance Fund, to non-professional investors in Sweden. 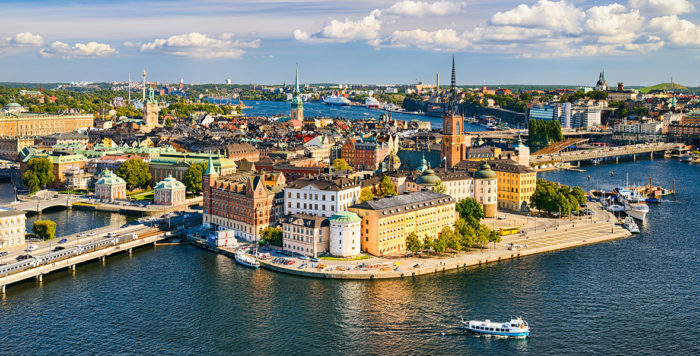 Handelsbanken has selected BlueOrchard on behalf of its clients, becoming the first Swedish investors given the opportunity to directly invest in BlueOrchard’s flagship Fund. As a pioneering impact investment manager, BlueOrchard is dedicated to contributing to solving the pressing global challenges outlined in the UN Sustainable Development Goals (SDGs). BlueOrchard has invested to date more than USD 4.7bn across 70 emerging and frontier markets, enabling tangible social impact. BlueOrchard’s funds proactively address 13 of the 17 SDGs. In conjunction with the permission granted by Finansinspektionen (the Swedish Financial Supervisory Authority) to market also to non-professional investors in Sweden, BlueOrchard is pleased to announce that the BlueOrchard Microfinance Fund (BOMF) has been selected by Handelsbanken as an investment opportunity available for selected clients in Sweden, who will now be provided with the opportunity to make a real and lasting impact by contributing to improving the lives of thousands of individuals in emerging and frontier markets. BOMF is the world’s leading microfinance fund with an 18-year track record. To date, 18 million micro-entrepreneurs across 50 countries have been reached by microfinance institutions funded by BOMF. BlueOrchard has created a new class of BOMF shares (the “H Share Class”) for the principal benefit of Handelsbanken and its clients. Since 2016, BlueOrchard has been operating with an AIFM (Alternative Investment Fund Manager) “Passport” to market to institutional investors in Nordic countries. “Nordic investors have long shown a strong commitment to sustainability and responsible investing. BlueOrchard is strongly positioned to accommodate these investors and looks forward to continuing to develop a strong relationship with the Nordic market. We are excited and proud about having BOMF approved for distribution within Handelsbanken. BOMF provides an excellent opportunity for Handelsbanken and its clients to contribute to solving the pressing global challenges outlined in the SDGs,” said Patrick Scheurle, CEO of BlueOrchard. BlueOrchard is a leading global impact investment manager. The firm is dedicated to fostering inclusive and climate-smart growth, while providing attractive returns for investors. BlueOrchard was founded in 2001, by initiative of the UN, as the world’s first commercial manager of microfinance debt investments. Today, BlueOrchard provides investors around the world with premium investment solutions, including credit, private equity, and sustainable infrastructure. Being an expert in innovative blended finance mandates, the firm is a trusted partner of leading global development finance institutions. With a major global presence and offices on four continents, BlueOrchard has invested to date more than USD 4.7bn across 70 emerging and frontier markets, enabling tangible social impact. BlueOrchard is a licensed Swiss asset manager authorized by FINMA. Its Luxembourg entity is a licensed alternative investment fund manager (AIFM) authorized by CSSF. For additional information, please visit: www.blueorchard.com.